At the St. Louis Shake Shack, the "ShackBurger" is joined by the "Mound City Double," topped with Niman Ranch bacon, Provel and "STL sauce." 60 North Euclid Avenue, 314-627-5518; Mon.-Thurs. 11 a.m.-10 p.m.; Fri.-Sat. 11 a.m.-11 p.m.; Sun. 11 a.m.-10 p.m.
Danny Meyer loves St. Louis the way only an expat can love his hometown — a nostalgic longing that's always smoldering beneath the surface, ready to erupt when anyone gives him an opening. Ask what he loves about the city, and he doesn't skip a beat. There's Forest Park, the art museum and the zoo, of course. Busch Stadium, the Arch and the Old Courthouse are up there, too. However, what really gets him going is talking about the city's food. Ted Drewes and Steak 'n Shake. Crown Candy Kitchen, Bissinger's and toasted ravioli. Hearing him talk, you'd think he spent his upbringing eating his way through St. Louis — because he basically did. 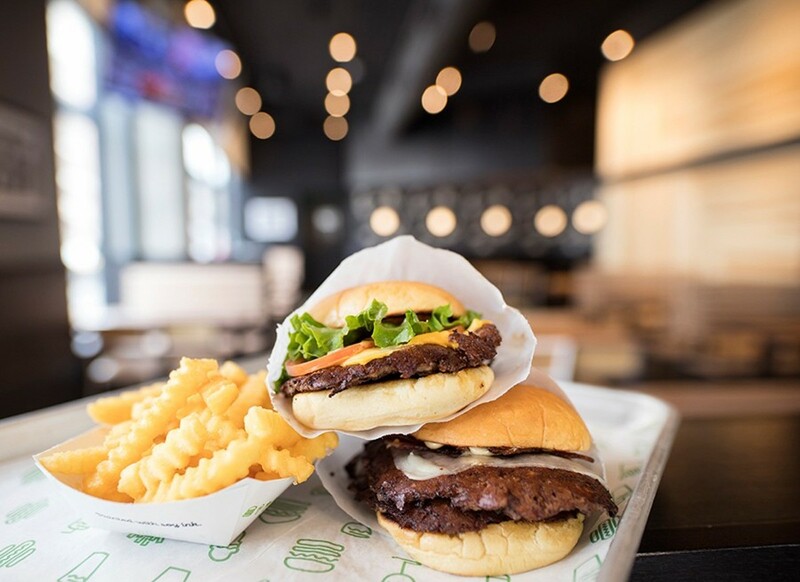 It's what made him the acclaimed restaurateur he is today and informed Shake Shack, one of the most beloved jewels of his New York-based empire. Meyer is right. There is a lot to love about eating and drinking in St. Louis — to the point that it seemed a little obnoxious when the announcement that Meyer was opening a St. Louis outpost generated as much celebration as a playoff win. Sure, our hometown boy was coming home, but do we really need a Manhattan restaurant group to show us how to serve burgers and frozen custard? It's like the guy who does chalk paintings outside of the Uffizi telling Botticelli how to paint. After its opening, lines regularly snaked around the corner. For two years, the city buzzed with anticipation. 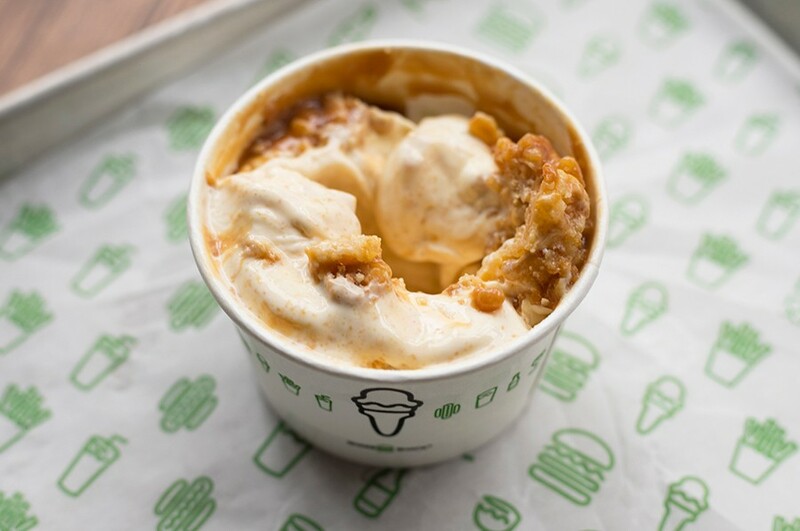 On Shake Shack's opening day, lines snaked around Euclid and down West Pine as eager diners stood in the cold for a taste of burgers and ice cream inspired by burgers and ice cream they could just as easily get down the street in a matter of minutes. 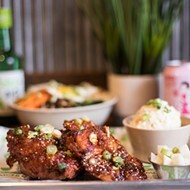 The restaurant's invite-only soft opening was the hottest ticket in town, attended by a virtual who's who of St. Louis: the mayor, TV news personalities, top chefs and restaurateurs. There was even a Clydesdale on hand, for Christ's sake. 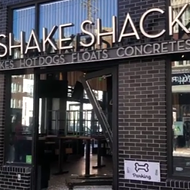 This skeptic had to ask: Is Shake Shack really that good? The short answer is yes. 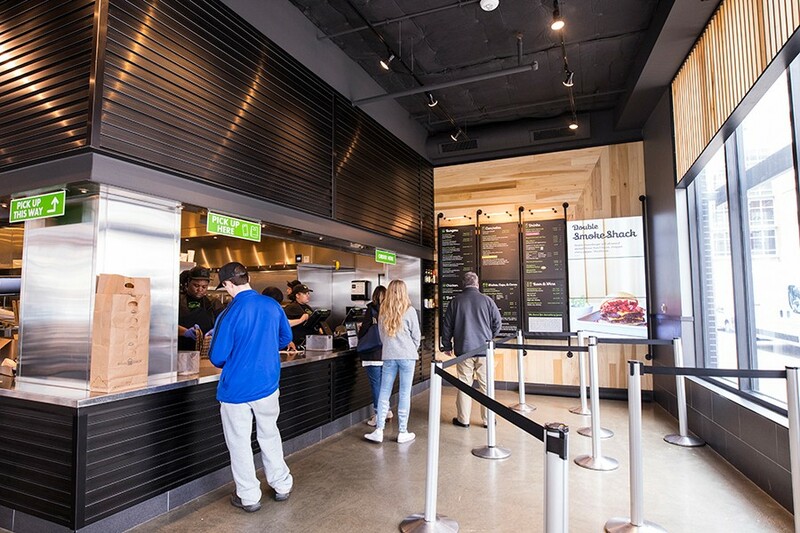 Shake Shack is, to no one's surprise, a near-perfect fast-food experience. It begins the moment you walk through the door. Meyer may have borrowed heavily from St. Louis' greasy spoons, but he didn't copy their design aesthetic. There is nothing "shack" about the place; the room feels less mom-and-pop-diner and more major-metropolis-hotspot. Done up in a mix of black paint and blonde wood, the high-ceilinged room feels sleek and modern. Big-screen televisions with the saturated colors of a showroom floor hang from the ceilings, but they aren't the biggest source of entertainment. 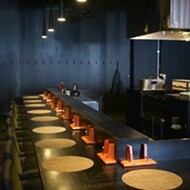 That goes to the guests standing in line, who are filled with a buzzing energy as they wait to order. On one visit, a group of college-aged guys were so giddy, one actually did a slight jump in the air when he exclaimed to his friends, and anyone within earshot, "Bro, I'm doing it. I'm going all in. Bro!" 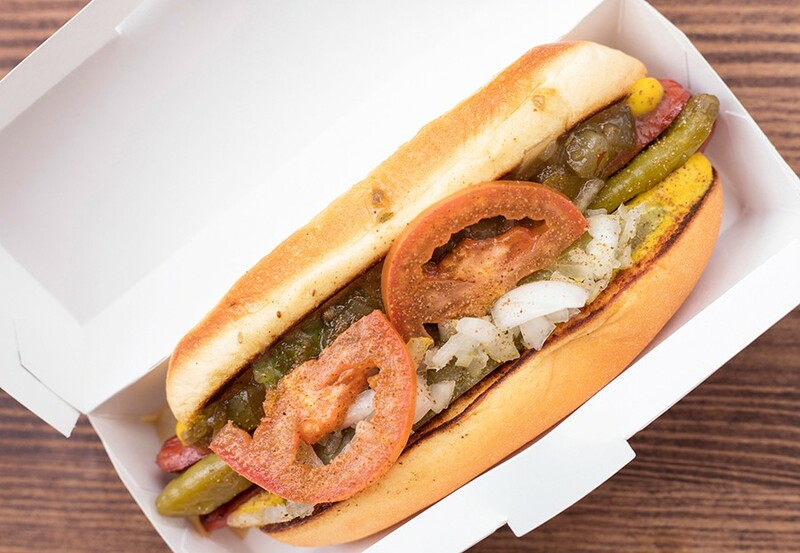 The "Shack-cago Dog" is a twist on the hot dog our northern neighbors made famous. My suspicion is that he'd already eaten the signature "Shackburger" at least once, for what could explain such behavior better than the prospect of being reacquainted with its beauty? A double version features two griddled patties of ground beef that are so juicy, they may as well be equal parts meat and butter. Creamy American cheese binds the patties together with its luscious, almost sauce-like body. The molten cheese mixes with a generous squirt of "ShackSauce," which tastes like a mix of mayo, ketchup, seasoned salt and a touch of mustard, forming a perfect, oozing concoction that forces you to eat the burger in its wrapper or risk making a huge mess. 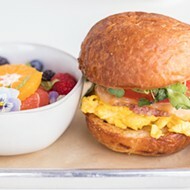 Lettuce and tomato break up the decadence with a burst of refreshment, with the whole glorious melange nestled onto a pillow-soft potato bun. If aliens were to visit Earth and you wanted to explain to them what a cheeseburger is, this is what you would serve them. You cannot improve upon this perfection, but you can certainly play around with it, which is what Shake Shack does with the "SmokeShack," its version of a bacon cheeseburger. Not ones to do things halfheartedly, Meyer and company use Niman Ranch bacon, a thick, sweet and smoky product widely considered the gold standard of American cured pork. The bacon infuses the entire sandwich with smoke, but a finely chopped cherry-pepper relish cuts through these deep flavors, offering a piquant brightness that lights up the palate. 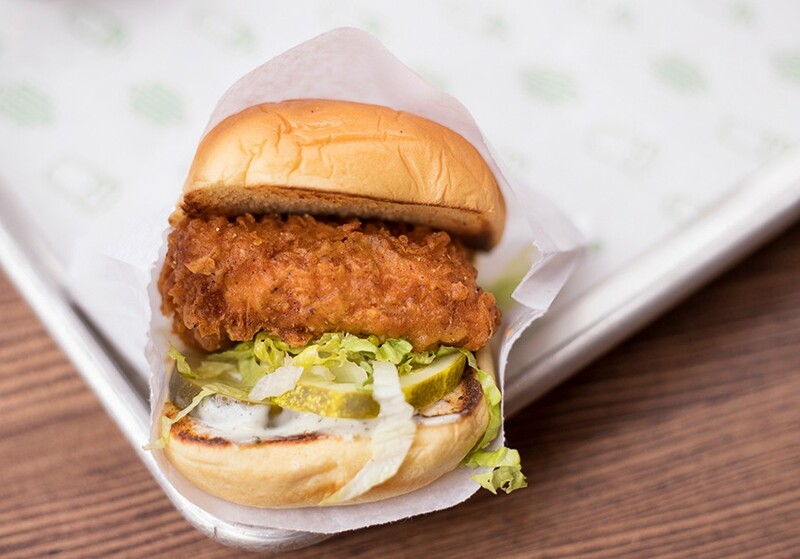 The "Chick'n Shack" features crispy chicken breast, lettuce, pickles and buttermilk herb mayo. The same bacon plays a starring role in Shake Shack's St. Louis-only specialty burger: the "Mound City Double." Even those typically immune from the sweet, sweet siren song of Provel can appreciate how well it melts between the two greasy burger patties, oozing into every crevice of the meat, almost making the burger seem stuffed. Tangy "STL Sauce" and a potato bun are the only finishing touches needed — no lettuce, tomato or pickle. It's just meat, cheese, bread and a love of St. Louis in this excellent sandwich. The "Chick 'n Shack" is the ideal fried-chicken sandwich: crispy breading with just a suggestion of black pepper, juicy meat, lettuce, tomato and buttermilk. Meyer and his team are not breaking the mold with this one — but they are showing why it was built in the first place. 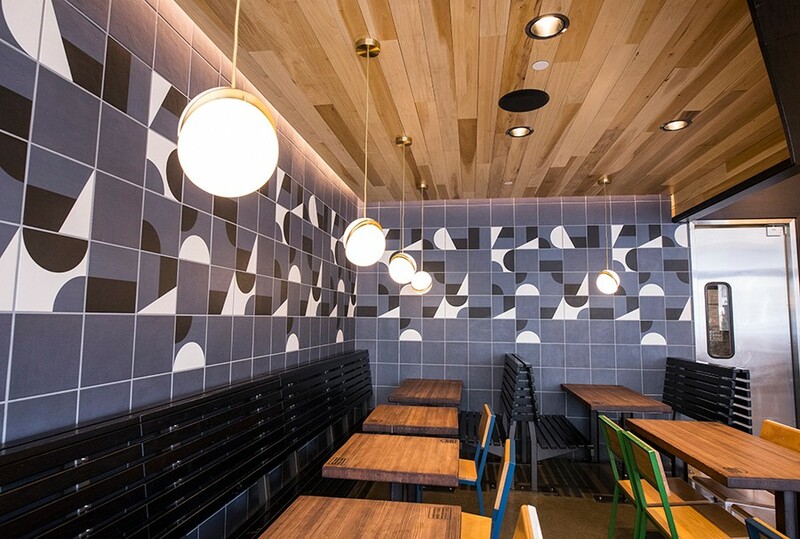 Shake Shack may be inspired by St. Louis' diners, but its look is decidedly upscale. And for its vegetarian option, Shake Shack does not phone it in. The "'Shroom Burger" is so wonderful I'd be tempted to forgo a beef burger every few visits. A juicy Portobello mushroom is stuffed with both muenster and cheddar cheeses, breaded and fried. The molten cheeses ooze out, mingling with the creamy "ShackSauce" to form a condiment that is nothing short of otherworldly. That a burger place puts this much thought into a meatless options speaks volumes of Meyer's commitment to hospitality. Shake Shack's fries are legendary, and for good reason. There's nothing crazy about them — which is precisely what makes them so special. They're just simple, crinkle-cut potatoes, fried uniformly to a pale, glistening gold. The exterior is almost potato-chip crisp, but the interior is creamy like a potato cloud. You can order them with a velvety cheese sauce, but my recommendation is to enjoy them in their pure form to get the full effect of their superb texture. "Central West blEND" combines a concrete with Park Avenue Coffee gooey butter cake and salted caramel sauce. I may have been tempted to dub the place Fry Shack after tasting these French-fried wonders, but that was before I sampled its actual namesake. Shake Shack's "classic hand-spun" shakes were inspired by Ted Drewes, but the student may have become the master. A simple vanilla version has the perfumed bite of intense, real vanilla and is positively silken. I preferred its straightforwardness to the St. Louis-specific "Central West blend," which paired the vanilla custard with Park Avenue Coffee's gooey butter cake and salted caramel sauce. The sugar-laden concoction would be too much even for Willy Wonka, or, to quote my friend when I suggested we might develop Type 2 diabetes from eating it, "Try Type 10." My favorite of the frozen custard offerings was the strawberry, which contained just enough fruit to allow the vanilla to stand front and center. It was less a strawberry concrete than a vanilla concrete with strawberries, which is exactly how I place the order every time I go to Ted Drewes. The interior is bright and modern. Thinking about Ted Drewes shook me out of my grease-and-sugar reverie, bringing me back to my original question: Is Shake Shack truly that good? It is. At least when it comes to the food. As for the legendary Union Square Hospitality Group customer service, I expected more. This is not to say anyone was unfriendly, but considering Meyer literally wrote the book on hospitality and is considered the world's expert on such matters, I assumed the restaurant's service would transcend the transactional fast-food model. It didn't. 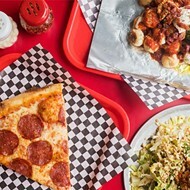 Places like, say, Mac's Local Eats, where you are greeted, cooked for and served by the eatery's namesake do transcend that model by virtue of scale alone. This is why my one caveat about Shake Shack has nothing to do with the food — it's terrific. It is not singular, however. Equally terrific are Mac's burgers, Crown Candy's malts and the fries at Frankly on Cherokee. If Shake Shack can peacefully co-exist with the little guys doing equally wonderful things without the benefit of an international brand behind them, then I'll be the first in line — even as a determined local eater who prides herself in being immune to the hype. And I think that will happen. After all, we're a big enough city to accomodate both the superstar and the little guy. 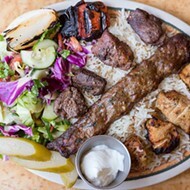 Besides, Meyer is no Sam Walton; he's as big of a hometown booster as they come, someone who wants to celebrate St. Louis food culture, not overtake it. And celebrate it, he does. 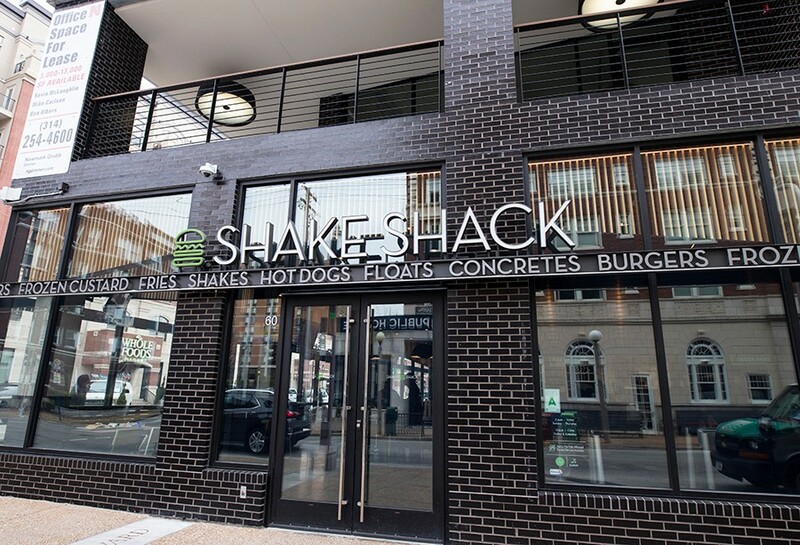 When you dig into it, I think the real reason for all the excitement surrounding Shake Shack is less a matter of hype than civic pride. It's a restaurant dedicated to what Meyer loves about St. Louis — what we love about St. Louis — for goodness' sake. How can you contain your enthusiasm for that?